Combine all of the ingredients for the marinade. 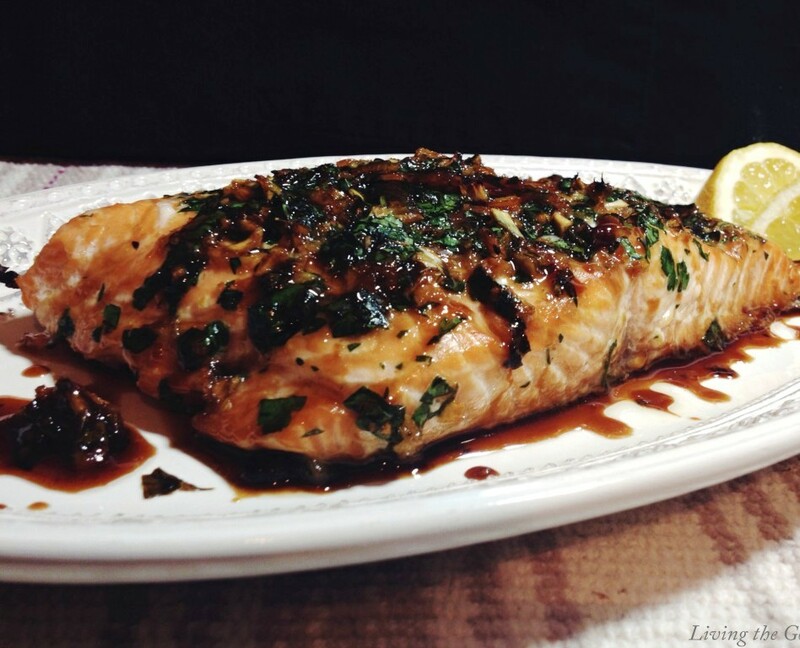 Place the salmon in the marinade and cover. Place the salmon in a cast iron pan; skin side down.